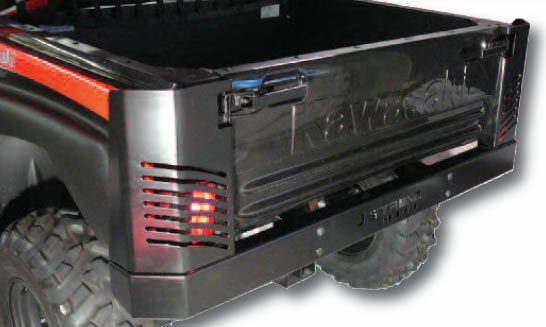 - The Teryx Rear Bumper is designed to protect the rear of your Teryx. - Made of steel and is black powder coated. Q: Will the J-Strong rear bumper fit on a 2015 2-seater Teryx? A: Unfortunately no, this only fits the 2008-2013 Teryx. Q: Will this fit a 2017 Teryx 2 seat?